With filming underway for Netflix’s The Witcher series, so far we have had a peek into the cast for the series including Henry Cavill in Geralt garb and the announcement of Anya Chalotra as Yennefer and Freya Allan taking up the role of Ciri. 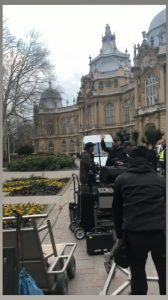 In a post on Twitter, we also get to see some of the breathtaking location for the series including a spot in Hungary. One particular amazing location includes Vajdahunyad Castle, in Budapest which is where a lot of production is taking place along with Poland. 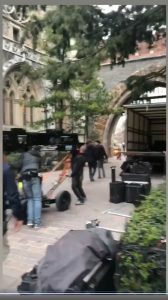 A short clip was released on Reddit via the r/neflixwitcher subreddit which included a short clip on set, but it didn’t reveal much. 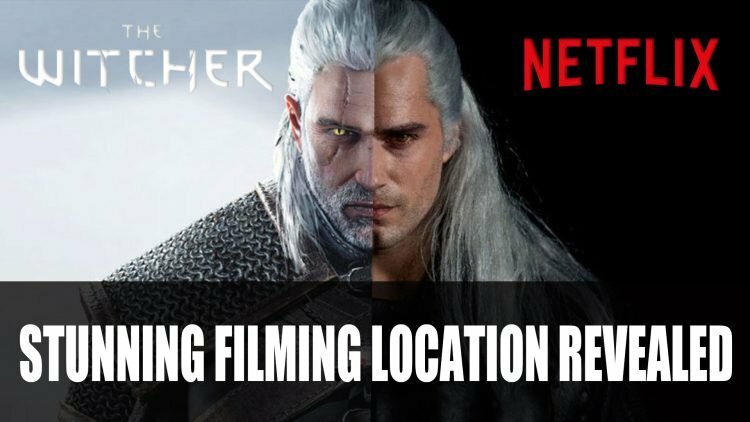 However, a Twitter account for r/netflixwitcher scoured the footage for spots shown in the short video which shared Vajdahunyad Castle was in fact the place. While the video doesn’t share how much of the majestic castle will be shown in the series, the views are quite spectacular and fitting for the show. There has also been rumours that the series may release in 2019 or 2020, after filming finishes in a few months time. Nothing has been confirmed by Netflix as of yet for a release window. If you want more Witcher series news you can find it here in Netflix Reveals Henry Cavill In Full Geralt Attire For The Witcher Series. If you’re currenty playing through the Witcher 3 be sure to check out our wiki for all your hunting needs. You can also check out the recent Witcher crossover event in Monster Hunter World X The Witcher Contract: Trouble In The Ancient Forest Complete Guide.